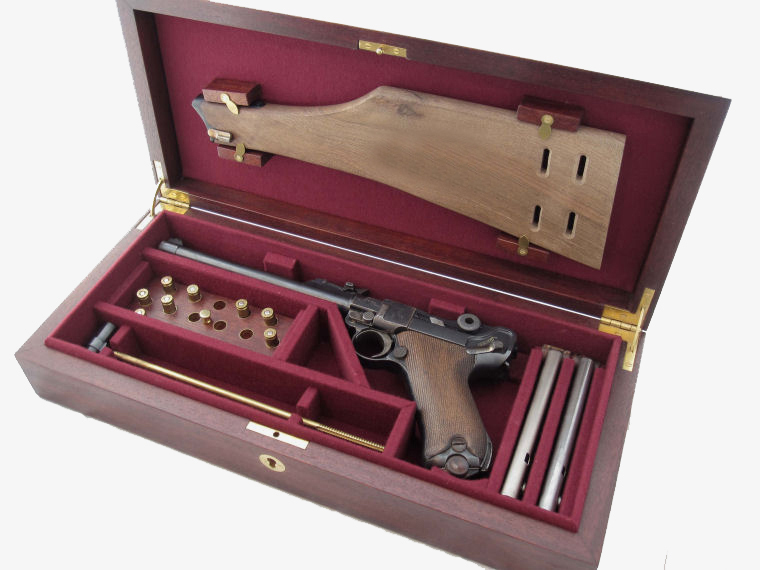 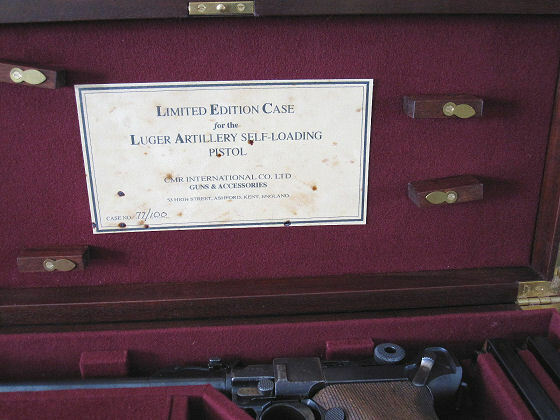 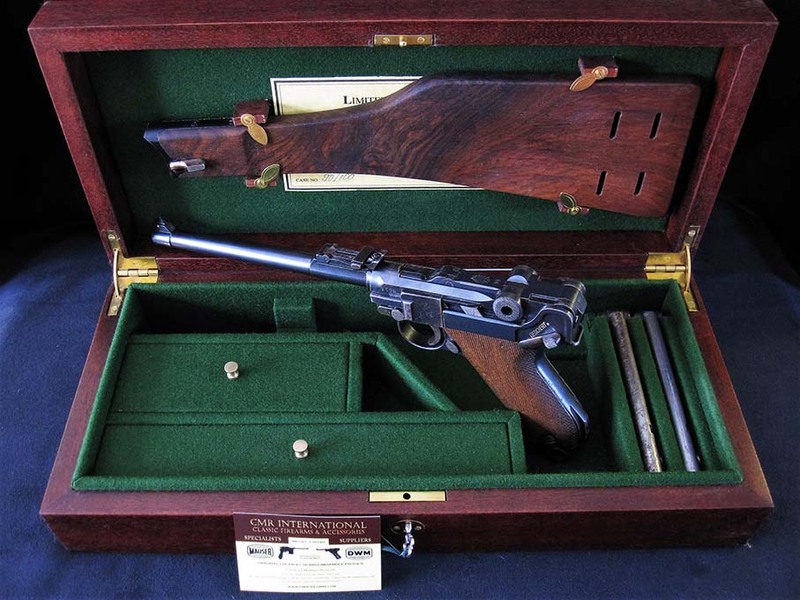 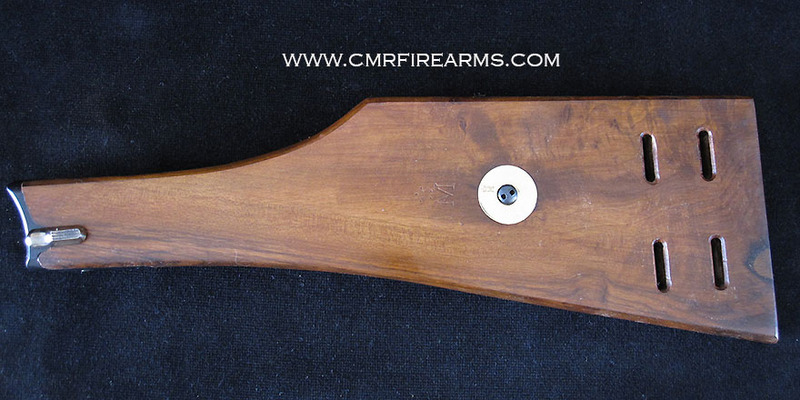 Fitted for the LP08 Luger Artillery Pistol or Navy Luger Pistol with Wooden Shoulder stock-board. 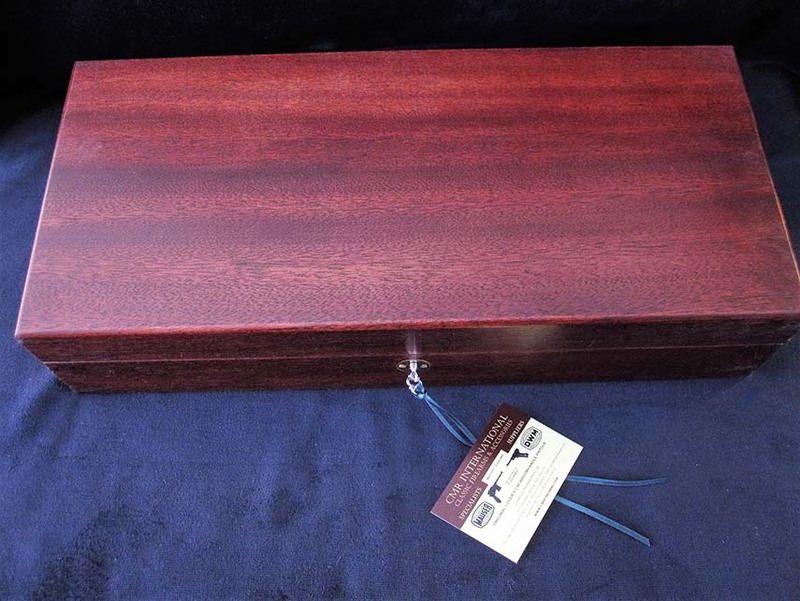 to Her Majesty The Queen supplier of Fabrics & Materials for restoration and conservation. 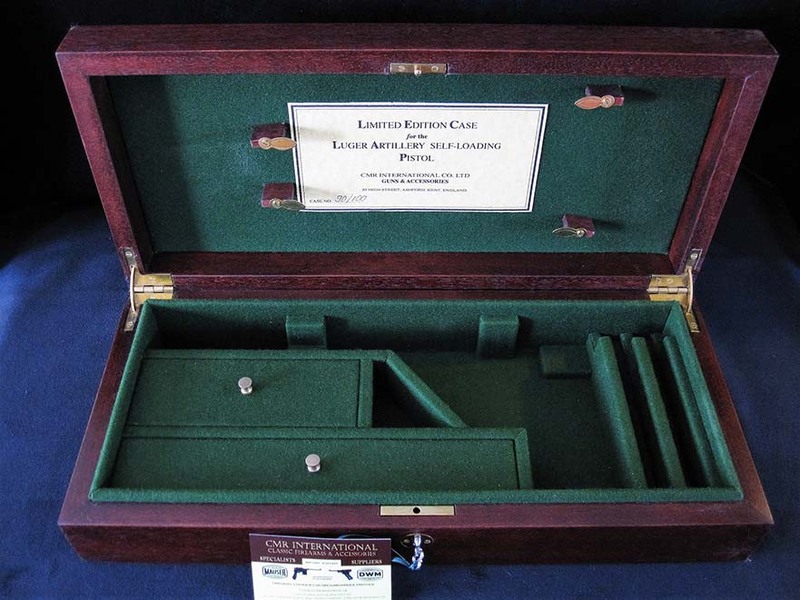 Each case comprises of 6 compartments 2 of which are lidded. 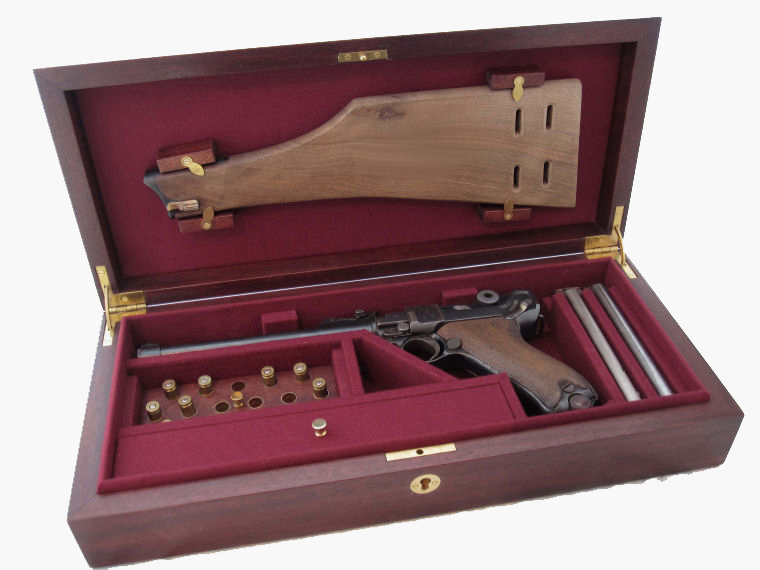 Lidded Compartment for spares, Ammunition's box (*or optional Ammo block brass lined). 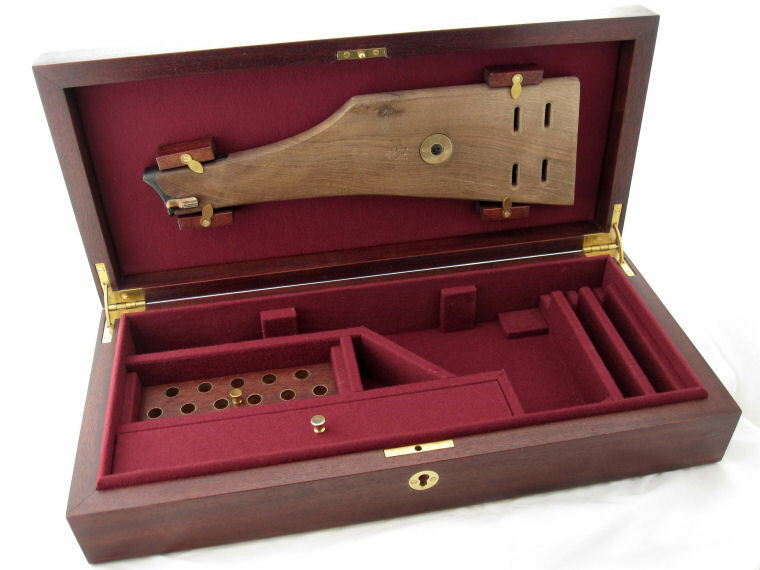 Lidded Compartment for the Beer Barrel Cleaning rod & cleaning materials. 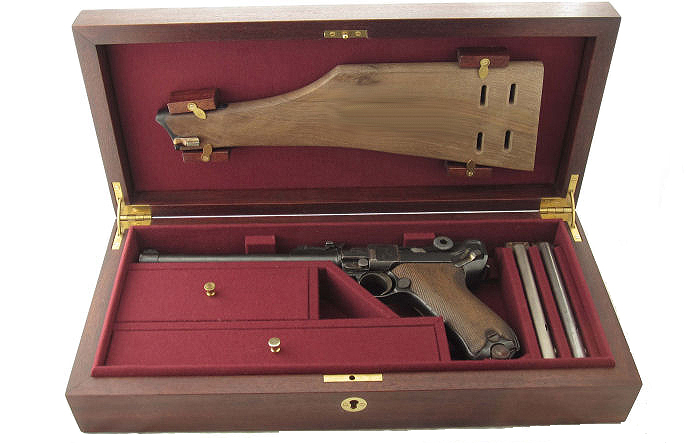 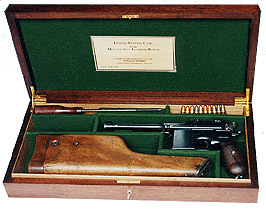 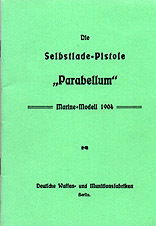 Pistol Compartment with barrel length up to 8 inches (200 mm). 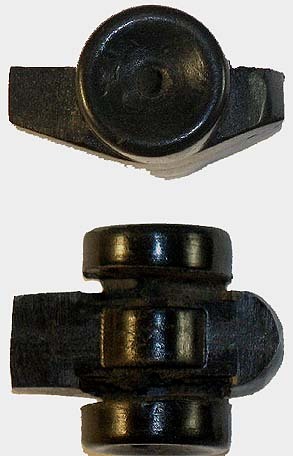 Stripping tool & or fine sight adjustment tool Compartment. 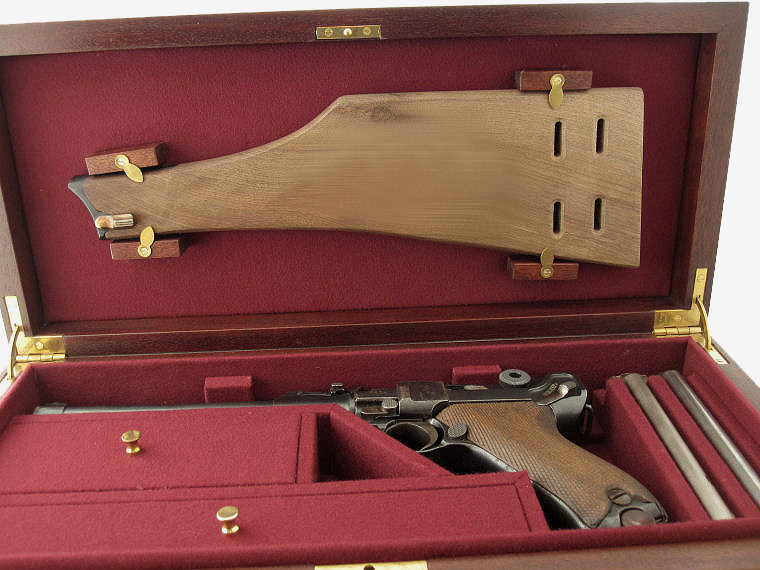 in quality and craftsmanship. New Item.